Hexagon is a leading global provider of information technology solutions. 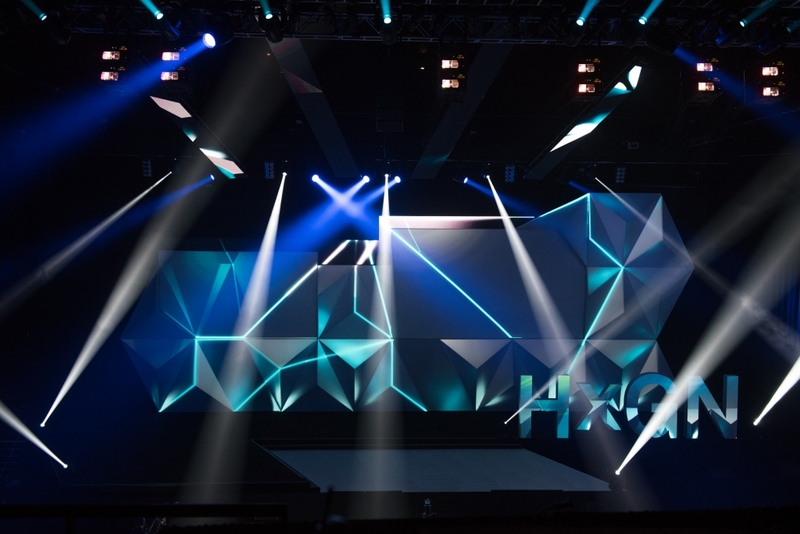 “HxGN LIVE,” its 2016 International Conference in Las Vegas was, attended by 2,500 customers, clients, engineers and developers from across the world. 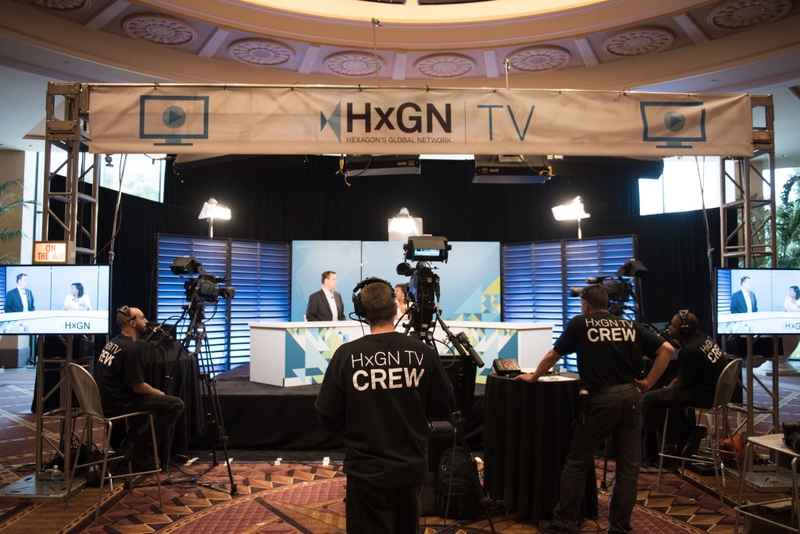 For this five-day conference, we produced daily general sessions and content – about 10 hours each day – for HxGN TV, the company’s YouTube channel. Also, we live streamed each of the five daily sessions. 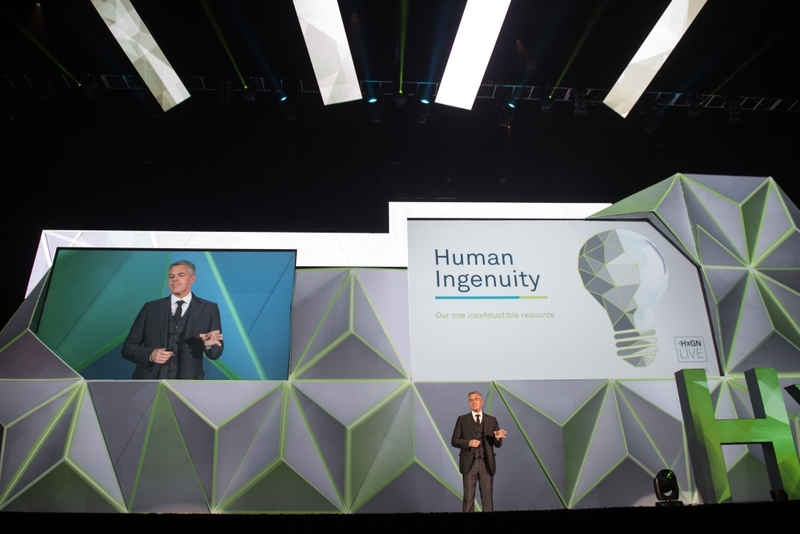 Each day of general session had a dedicated host representing a different primary business within Hexagon and included new product introductions, robotics demonstrations, keynote addresses and awards presentations. To meet the demand for varied content presentation, we set out to create an environment that was suitable to deliver messaging from different divisions offering very different products and services to a very diverse client base. To do this, we designed a set that was futuristic, flexible and visually stunning. Two screens were imbedded in the set for more traditional content support options. A sliding-panel entrance was built into the set for a clean look and a cool arrival onto the stage. Four rows of LED lights above the set extended over the audience. 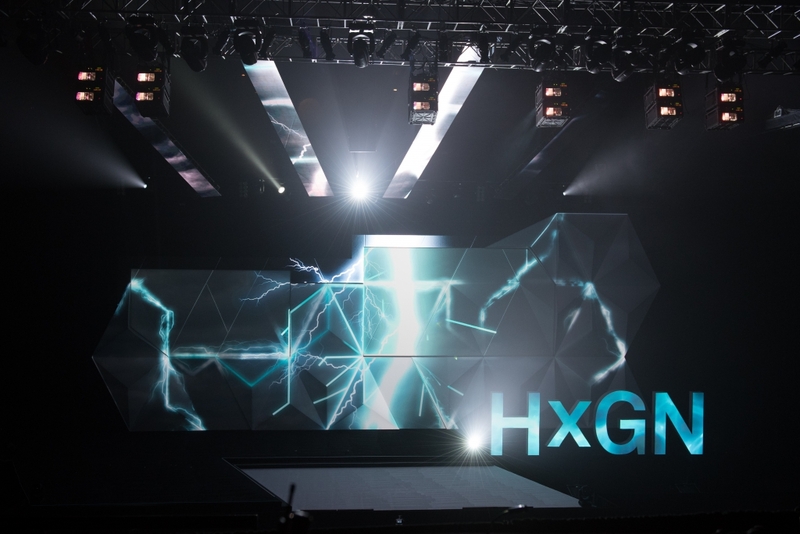 A 6’ tall dimensional reproduction of the HxGN logo completed the look. We designed custom looks for each of the five sessions. 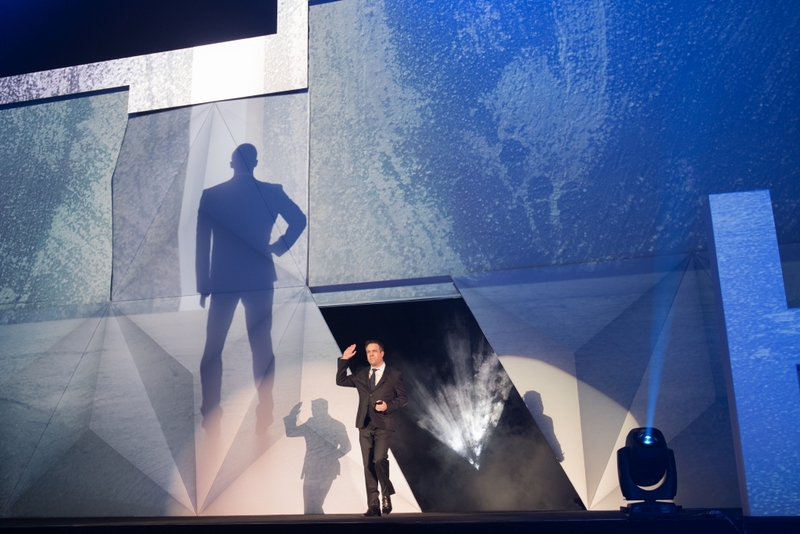 Content delivery was not limited to the traditional projection screens and, at times, the entire set transformed to support or illustrate a concept.